Hi, I'm Justin Nigh, award winning landscape designer, horticulturalist, and founder of Regenerative Designs Australia. 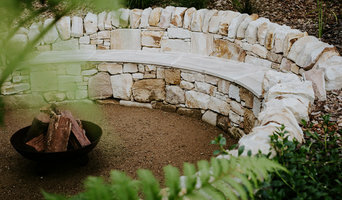 I design natural style sustainable gardens with an emphasis on Australian plants and materials that are ideally suited to Australian conditions, helping to ensure the success of your investment and reduce your maintenance. I help people transform their ordinary garden into a special outdoor space they love to spend time in. 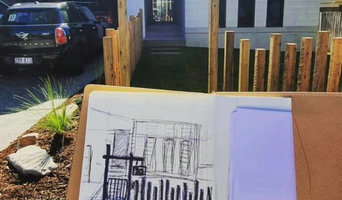 If you’re renovating your existing garden or planning a new one, I’d love to create a custom plan tailored to your unique style and lifestyle, whether you’ll DIY, use a professional landscaper, or both. 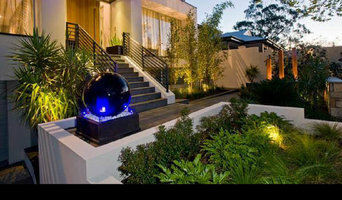 Landscape design to enhance your property and create a garden you will love to live in. I can also help with interior design and fabulous artwork. We own and run the beautiful Boheme accommodation in Peregian Beach which features my artwork and the beautiful mood walls that are available on commission. A well designed, constructed and maintained garden and outdoor space provides you with a valuable addition to your major asset, your home. At Moonah we cover all these important areas with the upmost professionalism and expertise. We are constantly striving to provide you the client with the best possible result, offering you the complete holistic approach to your outdoor landscape needs from start to finish. It is our aim to not only enhance your garden but to help give you an outdoor space that will be the envy of all others, while providing you with pride and joy. It is very important to us at Moonah that we provide you with confidence and reassurance that your garden will be designed and constructed to the highest possible standard. You can gain this assurance through the fact that all our staff is fully qualified and passionate about what they do. 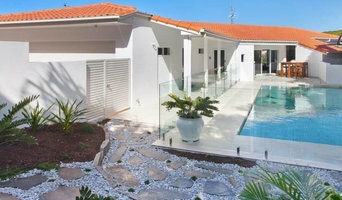 Outside Noosa is an award-winning landscape design, construction and maintenance company based at Noosaville. Our vision is to create quality outdoor living that best complements the challenges of our Queensland environment and the lifestyle that our clients aspire to. As a business that looks to the long-term, we have always put quality and service before profits. Our design process begins with understanding our client’s brief, working up their ideas with structural integrity at the core, then employing creativity to deliver both form and function. A lifetime involvement with gardens. Moving to the beautiful Sunshine Coast from Melbourne in 2014. Semi retirement was the objective. However gardening passion never dies. Absolutely love working with tropical plants. Landscape Design and Horticultural Consultation is in my DNA. There are not many gardening scenarios that I have not dealt with - small to large spaces and budgets. Conlon Group is a prominent Landscape Architecture practice servicing throughout Australia. Our highly qualified multi-disciplinary team of experts provides excellence in Landscape Architecture, master planning, urban design and project management. At anembo our team believes that every project whether simple or complex has unique landscape qualities to be respected and enhanced. We constantly challenge ourselves to find the key intrinsic qualities in each project to develop into creative yet practical solutions. Our brand of Experienced Professional Consulting has provided our clients with a definitive competitive edge in landscape design for over 25 years. Take a moment to browse thru some of our recent and signature projects. Ezyplant is an Australian owned company providing a one stop, online garden planning site. With its unique product, EZYplant strives to provide its customers with a selection of garden bed plans which includes plant selection for regions within Australia. Our affordable Online Garden Consultations also provide support for those clients wanting a more comprehensive landscape design. It's Easy with Ezyplant. Houzz is a great place to start your search for the right Sunshine Coast, Queensland landscape architect or designer. You can either browse outdoor photos and find professionals linked to them, or you can browse our professional directory, see their latest projects, read reviews, and narrow down your search based on your style preferences. 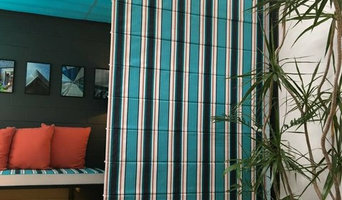 Once you’re down to a few, reach out and get some quotations to make your final choice.